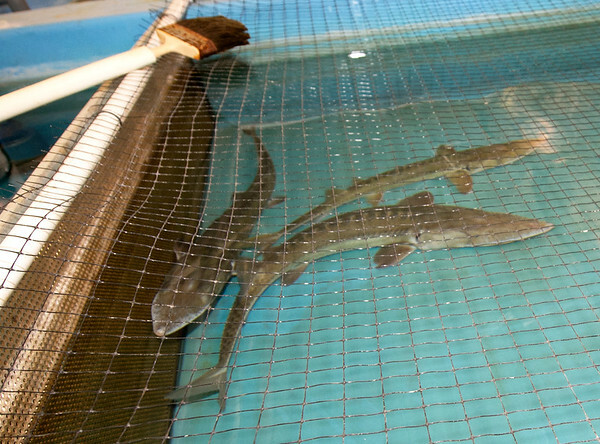 Three pallid sturgeons, referred to by Neosho National Fish Hatchery Acting Manager Roderick May as "iiving dinosaurs" swim in a tank inside a secure, alarmed buiding on Wednesday at the hatchery. The endangered fish are believed to be one of the oldest species on earth, remaining relatively unevolved for 60 to 65 million years. The hatchery houses 29 of the few thousand believed to remain in existence.